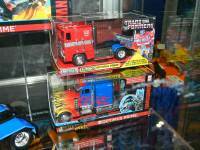 Via figures.com we have a look at the Metals Die-cast 1:16 G1 Optimus Prime & Hollywood Rides 1:16 Movie Optimus Prime Trucks from Jada Toys display at Comic-Con. We have our first in-package image of the upcoming 1:16 Metals Die-cast 1:16 G1 Optimus Prime, which we had previously reported via Jada Toys Instagram. The box includes a very nice G1 toy packaging art. We also have a clear out-of-the-box shot of the toy. 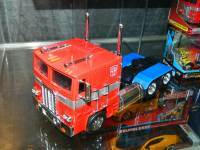 We also can see the 1:16 Studio Series Hollywood Rides 1:16 Movie Optimus Prime in his 1994 Peterbilt 379 semi-trailer truck alt mode as seen on the first three movies. We can also spot the same toy but with a The Last Knight packaging art on one corner. It is unclear if this is a packaging variant or maybe a teaser for a re-release of the The Last Knight truck. I got one 1:24 from Amazon, amazing! Got the smaller (1/32?) G1 Prime recently. Same scale as original G1 Prime truck mode. The gas tanks are too big on this making the frame behind the cab too elongated. True dual wheels are nice. 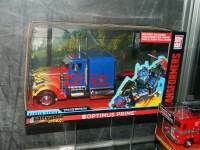 Anyone happen to have the DPCI# for G1 optimus? 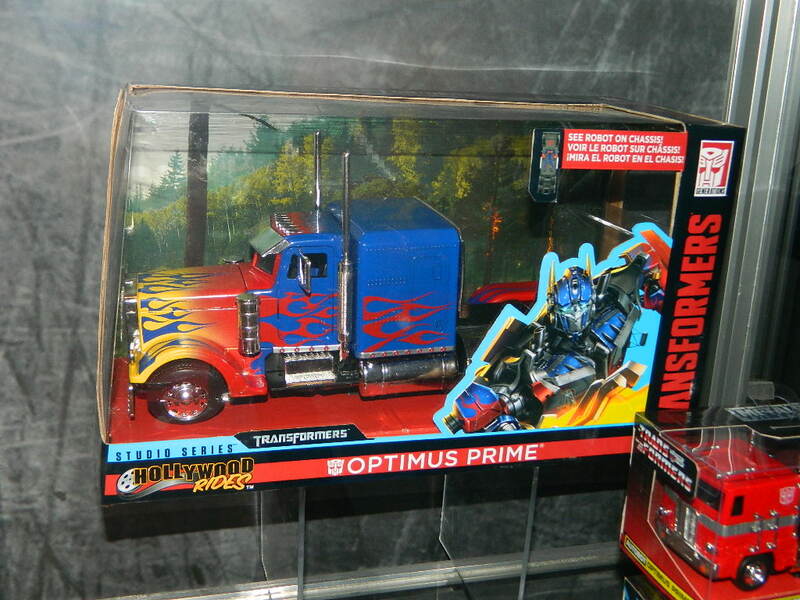 Just picked up the G1 Prime in the Hollywood line. I opened it just to check out how it feels, and it's honestly pretty poor quality. Looks great in the package, but the plastic on the back side is flimsy. I also don't like that the wheels feel quite weak, though I appreciate them being duals. 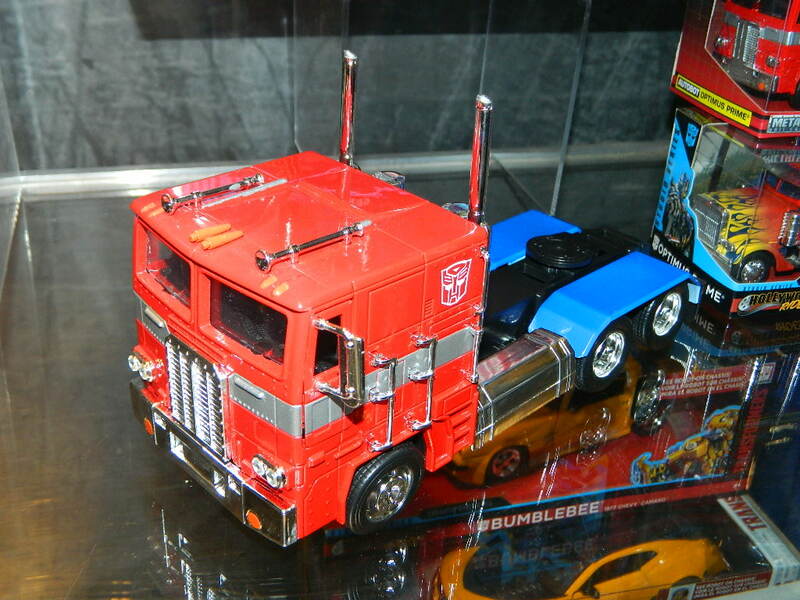 I think the cab portion details on the G1 truck may have been based on my old custom MP10. Here is that post. Found both of these at Walmart, in SC, an hour ago. These are both 1:32 scale. Thought I\'d share this info with you. 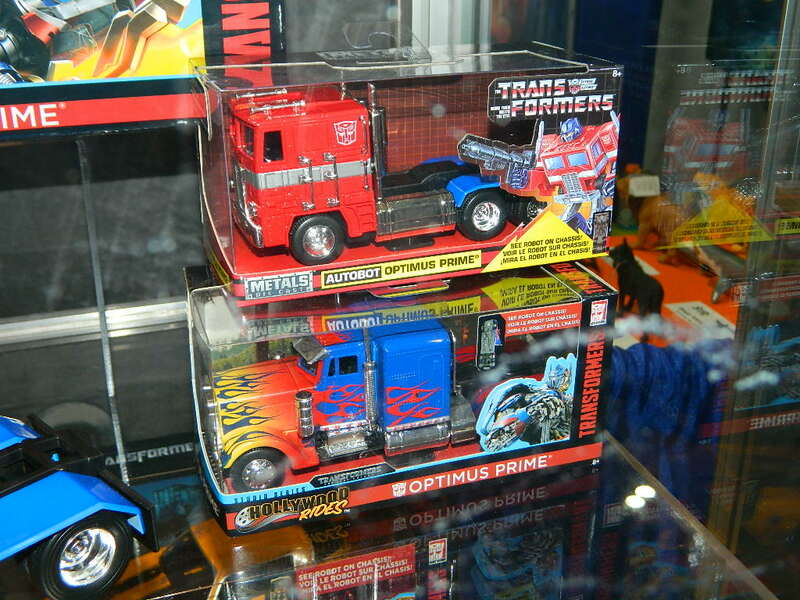 Interesting to note, G1 Prime, is the only vehicle showcased on the back of the box. Not sure if OP, posted pictures of the backs of the box yet. If so, please disregard that. Sprint has a funny way of only showing pictures, when it feels like it lol. Do we know when abouts the peterbilt prime is coming out? What scale is it, ie the 1/16th, or the smaller version? Lol, I was thinking the exact same thing. I previously had MPP10 in alt mode next to my ultimetal bet recently got rid of all my oversized figures so this could be a good alternative. I will get the Jada 1/16 G1 Prime for the alt mode of the Ultimetal G1 Prime… It\'s like the perfect set. Bot mode/Alt mode, without transforming!! So are there two sizes of the G1 Prime? Can't really tell for sure from the images, but it looks like a the one in the box is smaller than the other one. Nope the 1/24 scale go for $20, 1/32 go for $8-$9. and if any hot wheels sized versions come from this like they did with the last knight movie at 1/64 scale they go for $5-$6 at retail at Walmart. Meijer and Target should be around the same price. Online is what you have to watch for if you see them much higher than the prices I listed I would suggest passing on them and keep a look out at retail or a better price online. Good. It's when the non transformable ones start asking high prices that I start having a problem with them. These are gorgeous, but to me their vehicles. Defeats the point of being a transformer if it doesn't become a robot. I like your TF morals. I like using the word 'morals', but honestly it's more like I don't see the point of it. Not my cup of liquid Energon. But extra toy lines and accessories like this are not nearly as bad as the last G1 Actionmasters line, which literally did replace most Transforming toys with non-TF 1's. Anyway, to each his own. Freedom is the right of all sentient beings. These aren't gonna cost much, right? I love how these threads derail. There's plenty of Transformers merchandise that doesn't transform. These aren't intended to replace transforming figures at all, these are totally different thing. Some people collect vehicles from movies, TV series etc., some people may just want a vehicle mode (which with Hasbro's continual cutting down on paint, will have a better deco) to display alongside their figure. I really don't see the need for people to get all facetious and act like they don't understand what something is. Yes, Transformers transform, but not every representation of them has to. Otherwise, no fan would wear a t-shirt or display a poster with a Transformer on it when it's not shown in both modes. Right? You'd think that they were told by their parents that they could only pick one Optimus Prime toy so they feel like the one that doesn't transform is the only option and it's being force-fed to them. These look nice, but as per usual, no transform no buy. ROBUTT not TRUKK!